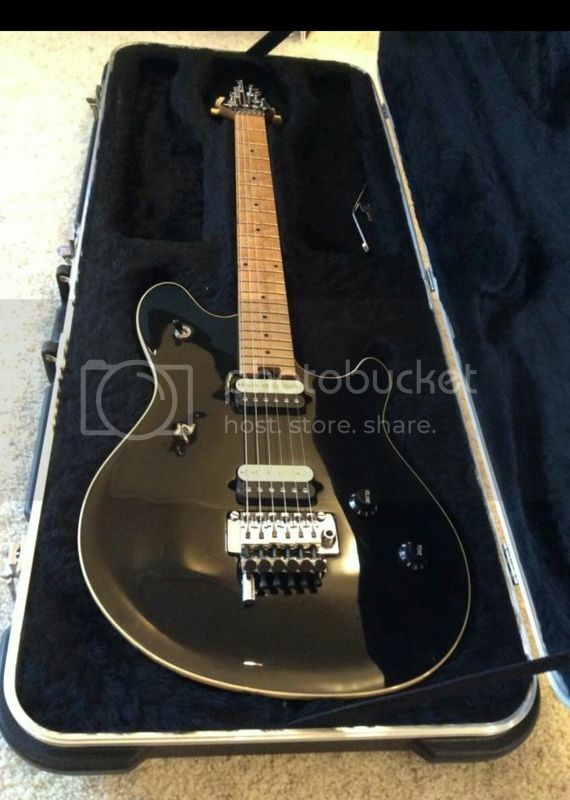 Decent prices for a EVH/Peavey Wolfgang in general ? Discussion in 'Guitars in General' started by jmccann040878, Apr 24, 2016. 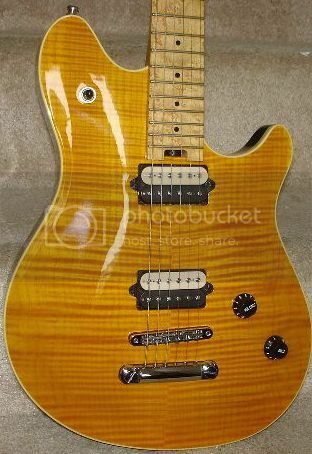 While continuing my quest for either a Music Man Axis, or a Peavey Wolfgang Standard, I was surfing the G.C used gear webpage yesterday, and I came across a used Music Man Axis, a Peavey Wolfgang Standard, and a EVH Wolfgang USA model and a EVH Wolfgang Special at different out of state stores. When I called to inquire about the guitars, the asking price for the Axis is $1,000. The store with the Peavey Wolfgang Standard has the guitar marked at $1,800, and after some talking the sales guy, I found out that the Peavey is a" Pat. Pending" model which means it was made somewhere between "96-98" and that they would sell me guitar for $1,600 with the case included. 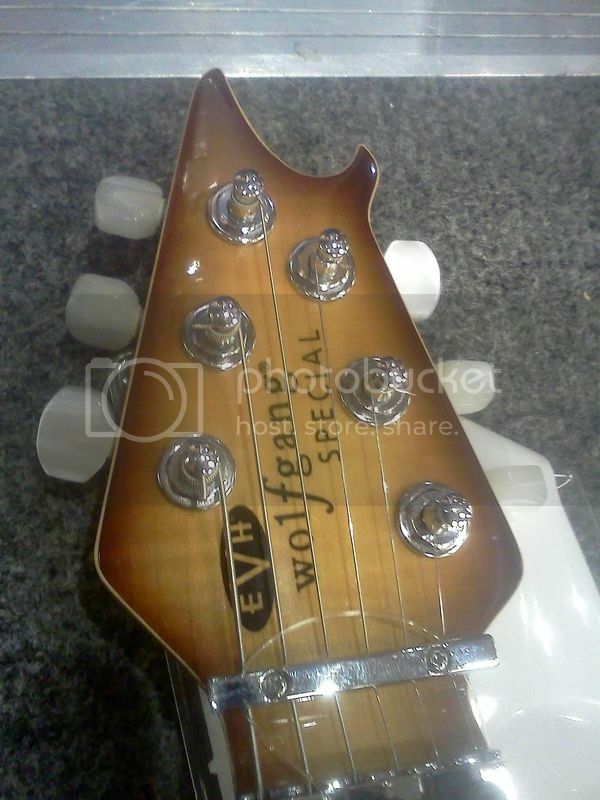 As far as the EVH Wolfgang and Wolfgang Special after calling the store, I found out that both are 2010 model's, the USA Wolfgang is a white one and they want $1450 for it. 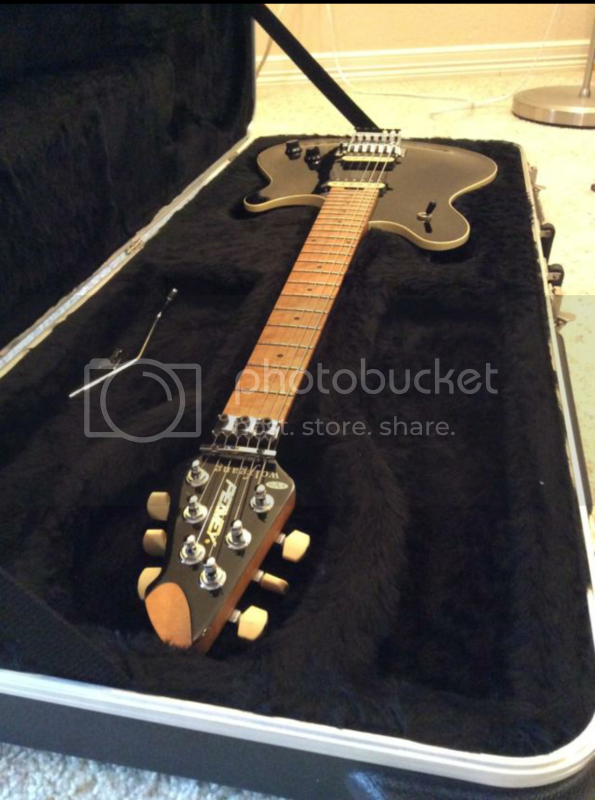 The Wolfgang Special is a sunburst model, and the asking price on that one is $750. Both EVH Wolfgang's come with the OHSC. Before I pull the plug on one or the other I was wondering if you fellas who own any of these guitars could tell me if the price for these guitars is overkill? I'm only asking because I see the prices all over the place for these guitars. I just want to know what the happy medium is on them so I don't end up screwing myself. I am biased because I love EBMM guitars.. 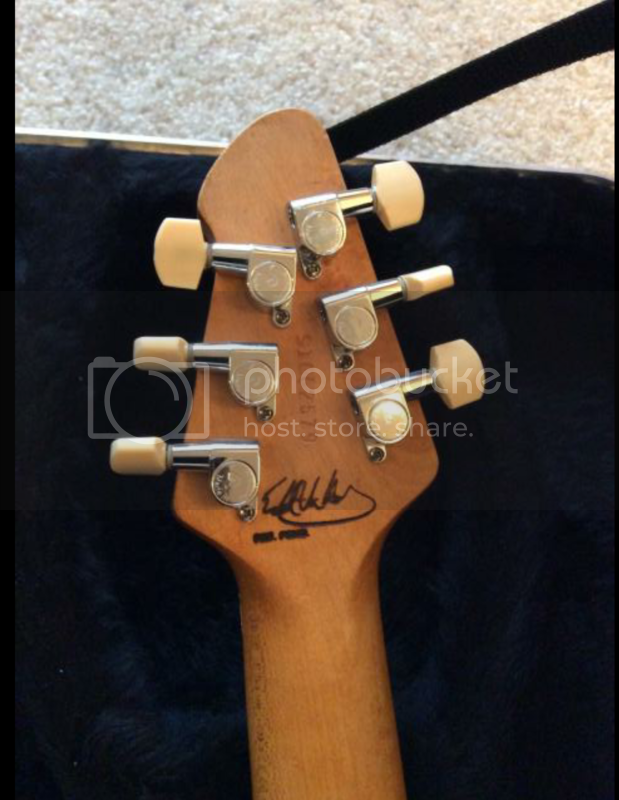 I have a first year, 1991, EBMM EVH and a 2002 EBMM Axis.. $1000 is a great price for a used, in good condition, Axis. And they are great guitars.. I absolutely love mine.. I bought the Axis as a back up for my EVH.. Only a few slight differences between the two.. 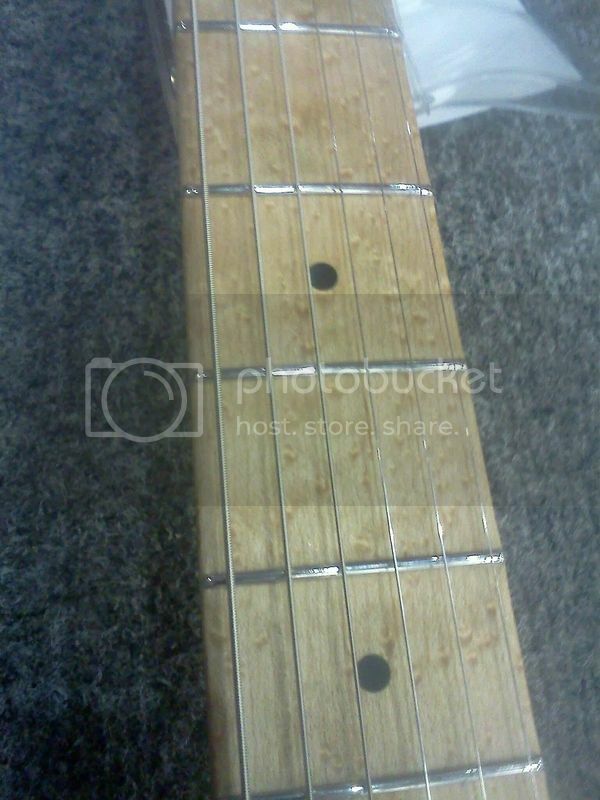 Neck is 1/32" wider at the 12th fret to the body on the Axis compared to the EVH.. The Selector Switch was moved from horn of the EVH to next to the Volume knob on the Axis. Also the Axis has a beveled edge or "Tummy Cut" whereas the EVH doesn't.. I can't really comment on the Wolfgangs because after owning these two I have no desire for anything else. They have "spoiled" me..
As of right now I'm leaning more towards a EBMM Axis EX. I like the layout of the EVH style body and the EX has that. 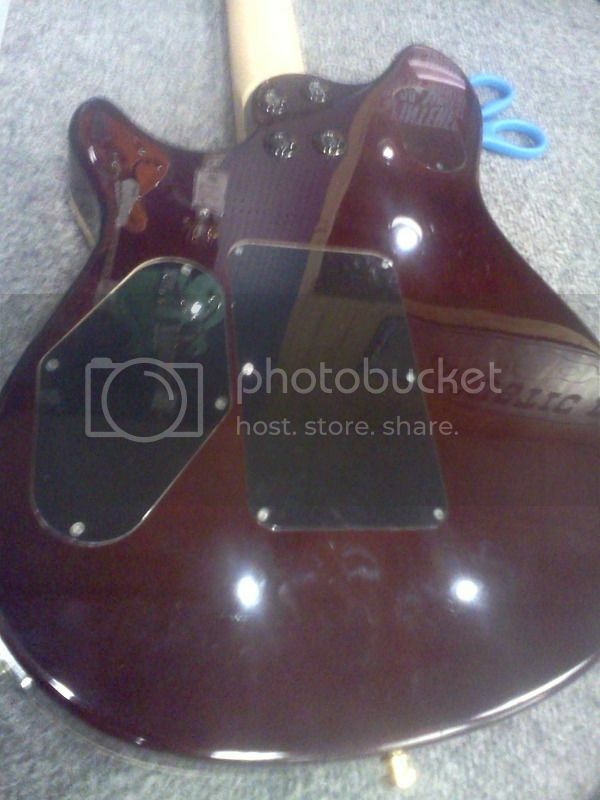 I found one in blue with a matching headstock for a great price I'm just waiting to hear back from the seller on it. All the the Axis guitars I found stateside for a grand are in trans amber and I really don't care for that color. I've owned over 25 between the EBMM EVH's, Peavey Wolfgangs and EVH USA Wolfgangs. I personally liked the Peavey the best but everyone is different. $1600 is way too much right now for an early pat pend Wolfgang, which store has it? Im looking at the gc website and don't see one for $1800. You can find them cheaper on reverb and eBay. Theres a nice pat pend local to me for $1200. I only bought the EBMM EVH's because I was collecting EVH guitars and thought for a time they were his best. Then the Peaveys just grew one me. $1000 for a used Axis is pretty good. The EVH's I've owned (4) were nice but all of them were plagued with QC issues. The last one I bought was a brand new stealth that came in and was awful. I finally had enough and emailed EVH brand with pictures of not only that one, but the previous 2 before it that I had problems with. Long story short with that one, they had Chip Ellis rebuild me another one and had me send that one back. Even when the Chip built one came in I found a few things that bothered me and eventually sold it. Too bad about the new EVH Wolfies, what issues did they have, is one issue the bass side neck pocket gap I commonly see on the parent company's guitars? Even post-2006 Axis' have that neck gap that wasn't present before, and I've never seen a Peavey Wolfgang with one- those all have practically airtight neck pockets IME. 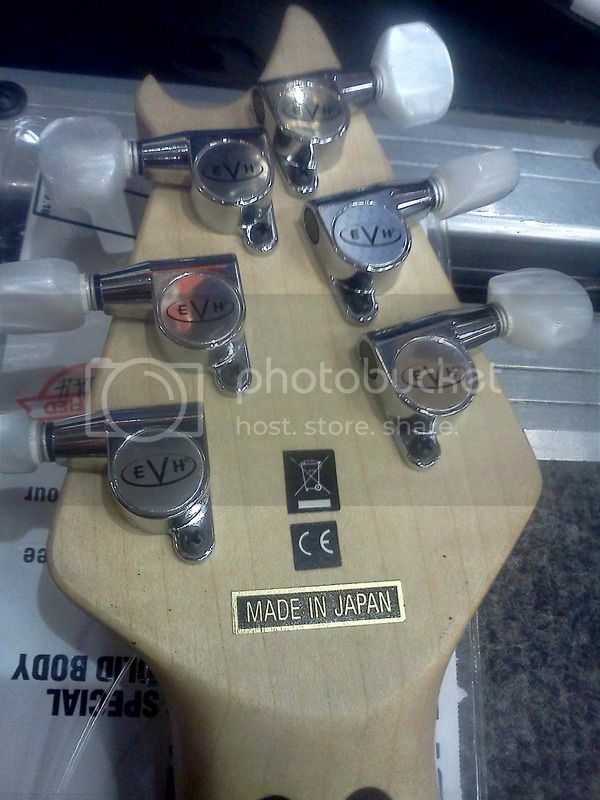 As far as the EVH models, the US is a good price the special is a bit high for used. They have their fans and non fans so try to try one out first. I love my EVH Special. So the EBMM EX models are pretty much junk? I'm asking b/c that is the model Im looking at. I found a few of those on eBay forsale in Japan for around a grand. Thanks for the heads up about Reverb and eBay. I see people on eBay have them for BIN of around $1500. On Reverb on the other hand I found a few black pat. Pending ones for a decent price. I'm just waiting to hear back from the sellers to see if they are solida basswood bodies or if they have the 5/8 maple cap underneath. The Axis EX are made in Japan EVH Guitars but without the EVH Signature on the Head Stock, but they are still nice guitars.. I have even been debating on getting one myself..
From what I've read the Axis EX has a paper thin veneer of highly figured quilt maple, not the usual 1/8th inch maple "cap". 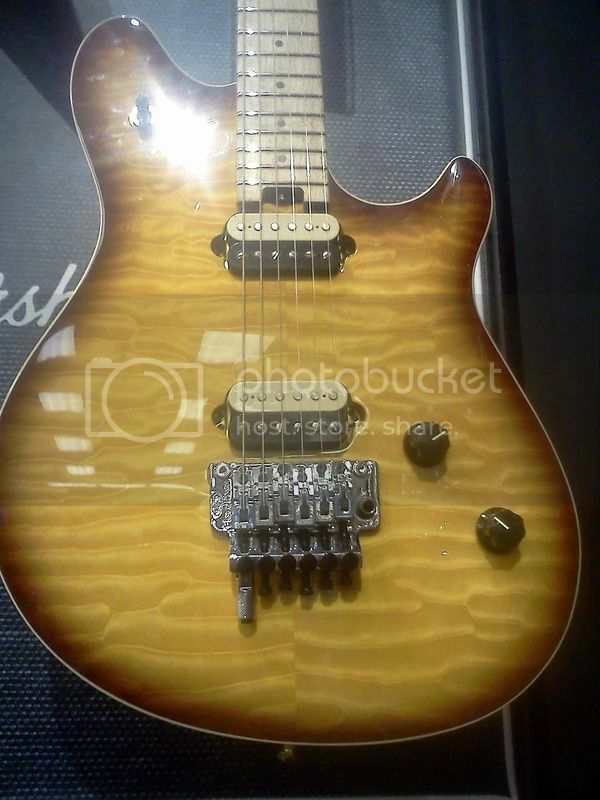 I think it was spec'd this way to prevent people from selling it as an original EVH signature model because the EX looks exactly like one with the original toggle switch location, no belly cut and the 2 oval shaped electronics cavities. They are just not as good. Sometimes sharp frets and poor setups. I think the Floyd is pretty cheap. I wanted a Wolfgang after hearing a video where it had a distinctive sound. I kinda put then in four categories. The one with the most interest and best resale seemed to be the Peavey Wolfgang. I shopped like a scientist for several months, and by total accident, someone here posted about a dealer in used instruments, "Chris's Guitars" in Albany NY. The website is tedious, and e-mail went unanswered, but I persisted and after several calls, I spoke with Chris. Yes, he had one, a pristine 1999, owned by a couple collectors. I bought it sight unseen, based on his word, it arrived safely, and indeed it was perfect. I paid $1300, which was plenty, but I couldn't get one better. I love the tone. (I wanted green flame, but ended up with amber, I think green flame is pretty rare.) BTW, my Wolfie is a hard tail, so I can't address the Floyd. Best for me. 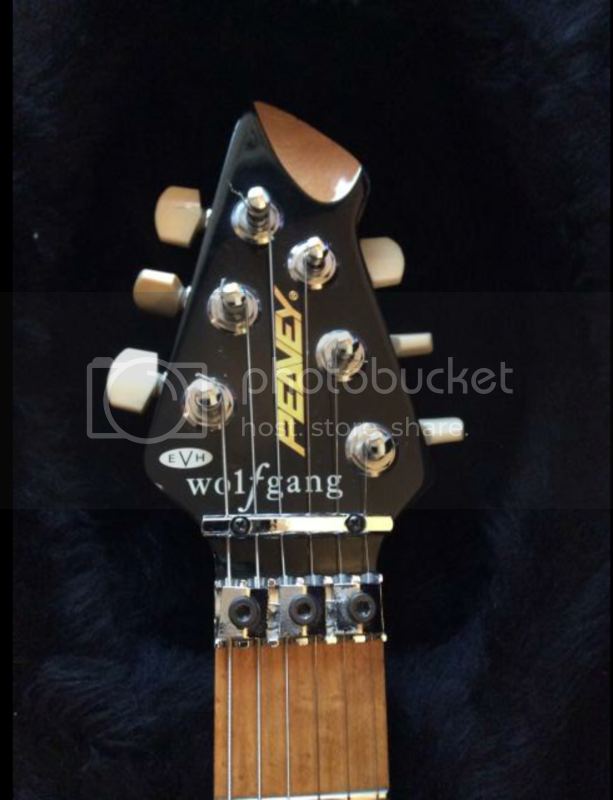 I turned out my luthier once worked at Peavy and was a project manager on the Wolfgang. 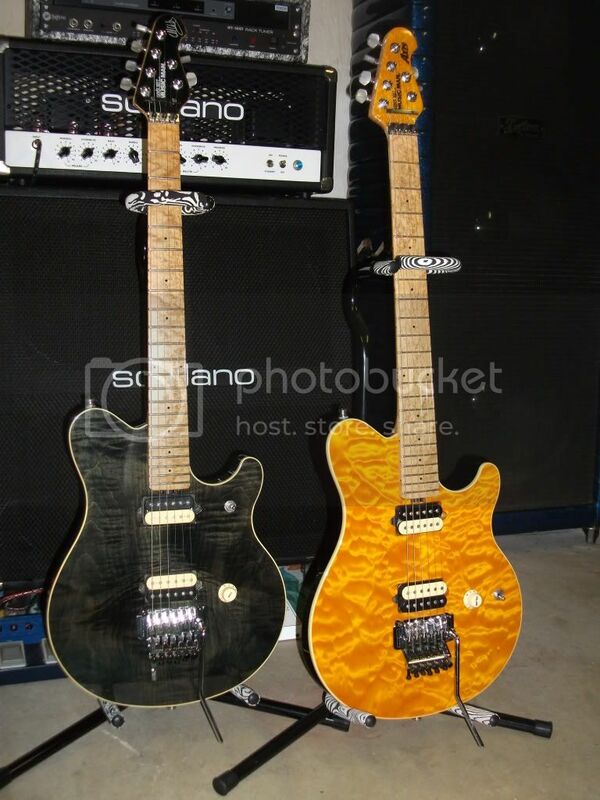 The EVH Special that I found for $749 and $900 are tobacco burst 2010 models made in Japan specials. Does that make them still overpriced? I remember when that model came out, they were selling brand new for $1399 I believe. Thanks for all the responses guys. 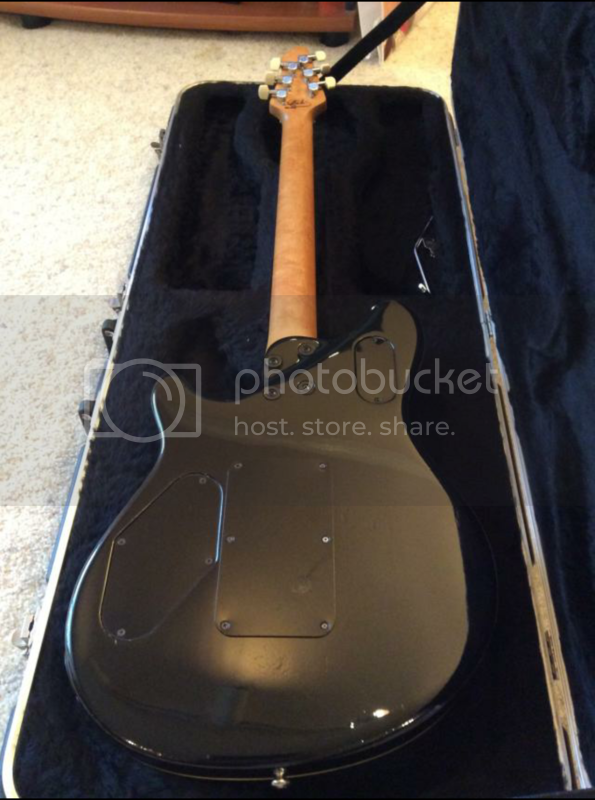 After talking with a seller on Reverb made and offer on a Peavey Wolfgang Standard in black. Originally the seller wanted $980 so I offered $900 and he shot back an offer $950. I think I'm going to think it for the day on wether to go for it or not. Its totally worth that price just that I've seen them lower. I got mine for $729 new. And here is the Peavey Wolfgang I'm looking at for $950... decisions, decisions. I'd go for the USA version. As long as it's clean, and it looks so, I don't think you'll be disappointed. My case does not look like that, but yours looks nice too.